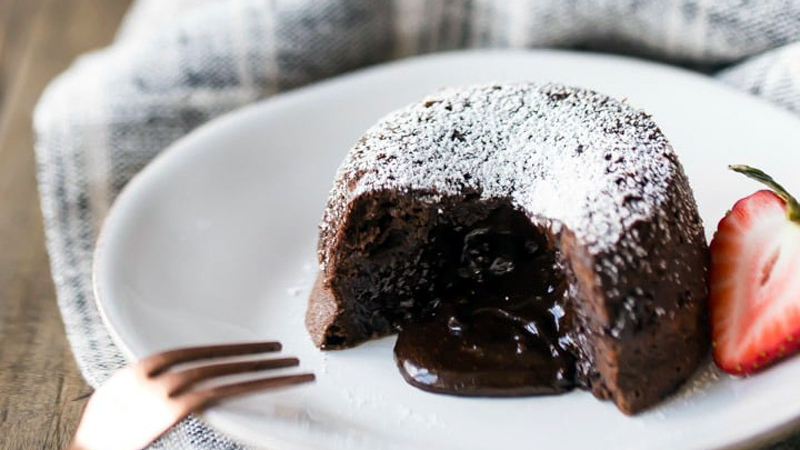 These chocolate molten lava cakes are such an indulgent treat! Perfect for a special occasion, yet easy enough for every day. 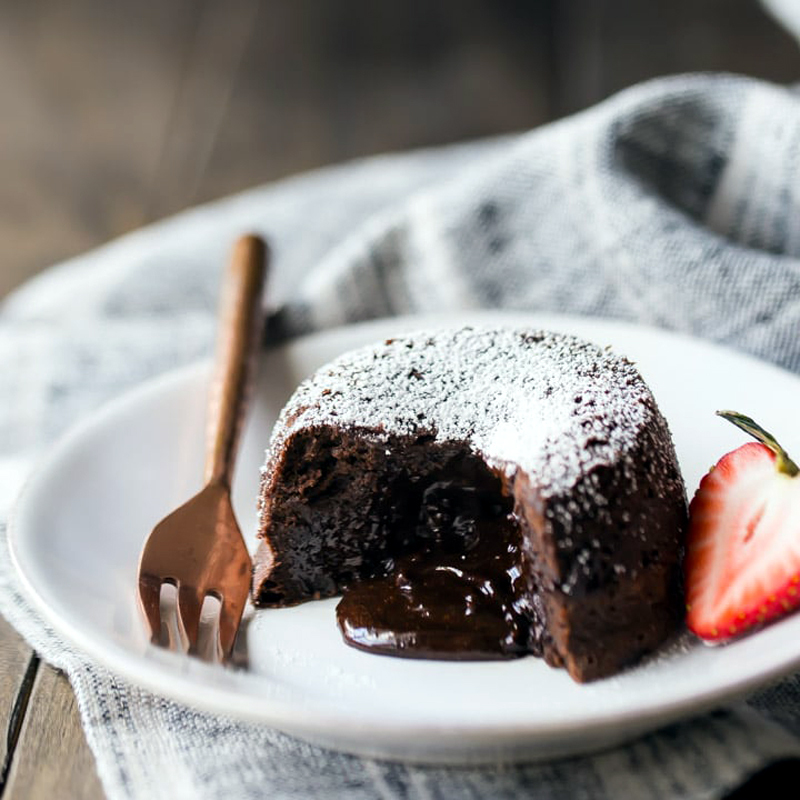 You'll love the deep chocolate flavor and the warm liquid center! Preheat the oven to 350 degrees F, and mist six 4-ounce ramekins with non-stick spray. Place the butter and chocolate chips in a large microwave-safe bowl, and microwave in 30-second increments, stirring, until completely melted. Add the powdered sugar, and stir until smooth. Stir in the eggs and yolks, one at a time, until completely incorporated. Add the flour, cocoa, and salt, and stir until blended. Transfer the batter to the prepared ramekins, and bake for 16 to 20 minutes, or until set around the edges but still wobbly in the centers. Cool for 20 minutes, then invert the cakes onto serving plates and dust with powdered sugar.